Prime Minister Stephen Harper once insisted the Senate is an independent body. But a new trove of e-mails, tabled as evidence in the ongoing trial of Mike Duffy after Harper’s former Chief of Staff Nigel Wright took the stand on Wednesday, seem to suggest Conservative senators are nowhere near as “independent” as Harper implies. 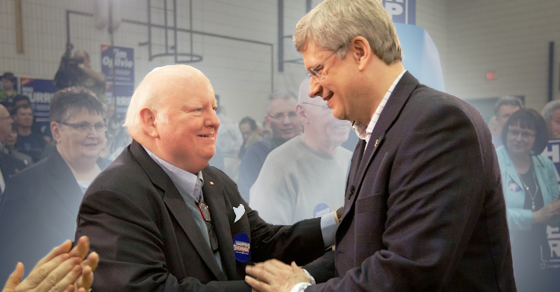 And conveniently, by working in the shadows to protect Duffy, they also protected Harper too. Unfortunately, despite the Senator’s enthusiastic subservience, no one at the PMO bothered to let Stewart-Olsen “know in advance what the strategy was.” Shucks, too bad! She could “only do so much without background.” Maybe the Senator “could have stick handled” better too? Stewart-Olsen was formerly Harper’s press secretary and director of strategic communications before Harper appointed her to the Senate in 2009. 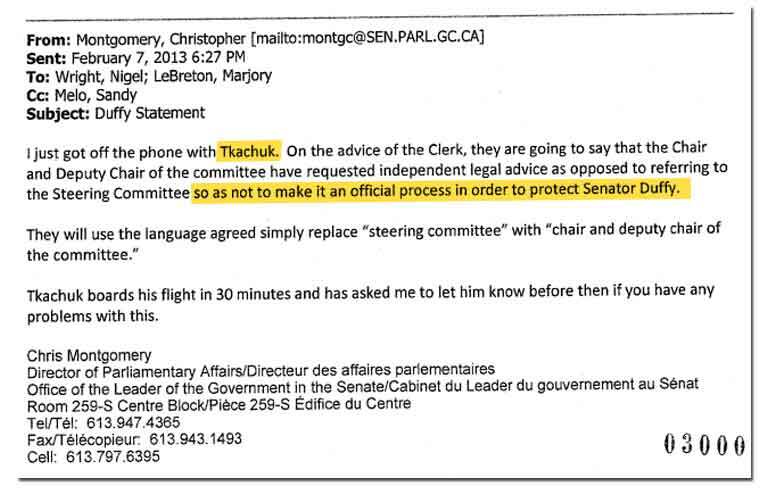 “I think that will get us where we want to go,” noted then-Leader of the Government in the Senate Marjory LeBreton who was also CC’d on the e-mail thread. And when the committee’s same report into the expenses of Harb, Brazeau and Duffy was released, who in the “independent” Senate could the PMO count on to read their talking points in French? Carignan was a failed Conservative candidate who Harper appointed to the Senate in 2009. 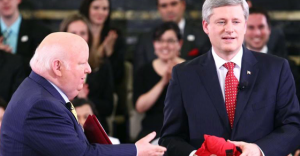 On August 30, 2013, Harper named Carignan the new Leader of the Government in the Senate, a position he still holds to this day. Then there’s Senator Irving Gerstein, a major fundraiser for the Conservative Party of Canada who was also charged in relation to the Conservatives’ 2008 ‘in-and-out’ scandal. Why were so many senators trying to protect Duffy anyway? “Marjory is fully on board,” Wright added. At the time, LeBreton was Leader of the Government in the Senate. 5 Conservative senators who conspired with the PMO to "protect Senator Duffy"
The Mike Duffy trial is getting back under way this week. Harper’s former Chief of Staff Nigel Wright is set to testify about the $90,000 bribe Duffy allegedly received from Wright in 2013 and Wright’s controversial email from February 23 that year, which suggested they were “good to go from the PM”.